A Mecca of casino tourism of the US, Mississippi (MS) is also an extremely scenic road trip destination. One of the best ways to explore the scenic appeal of Mississippi is by taking a drive through the state's historic landscape. Mississippi is full of great roads and scenic byways that carry you through unspoiled natural beauty of rolling hills, thick forests, valleys and sun-drenched beaches along the Gulf of Mexico. One of the top ten scenic byways in America, Natchez Trace Parkway, is a 444-mile modern road that follows an ancient Indian trail. Roadside attractions along the way include historic markers, Indian mounds, hiking trails and a Civil War battle site. 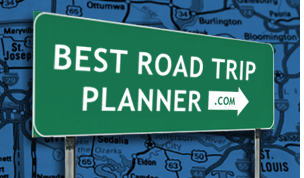 Other scenic drives to explore in Mississippi are the Grand Gulf Raymond Scenic Byway and the Great River Road National Scenic Byway.